Looking at land in Winter with builder John Kaeser. With a fresh coat of snow and leaves down you can really appreciate fully the contours in the land. In this case we see a panorama taken from the ridge top and we know that the the two houses we have planned for this site will not see each other. 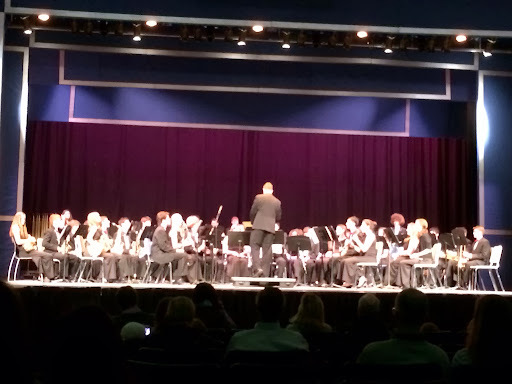 My daughter Lillian is in there somewhere playing the trumpet. Go Lillie! Tonight's concert features the music of Frank Sinatra and includes the band playing with the orchestra. 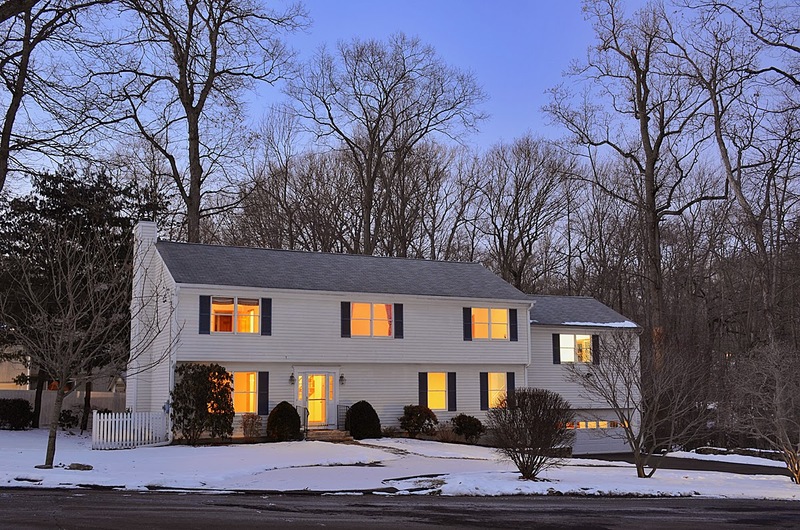 New Canaan Property Values on the Decline? Nelson Oliveira of The New Canaan News did a story this week on the current revaluation taking place. While he got most of it right and property values are down an average of 2.8%, it is impossible to paint the whole market with one brush. 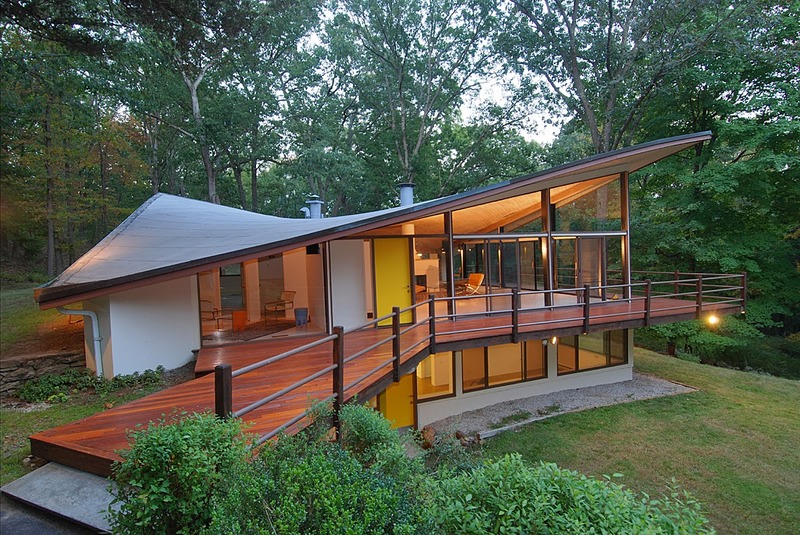 The value of properties costing between $1 million and $4 million in New Canaan was mostly flat in 2013. As Realtor John Engel, who also serves on the Town Council, put it, "both ends of the seesaw are changing a lot, but the middle is flat." This does not begin to capture the angst being expressed by those in the community whose property taxes have gone up more than 15% overnight. By my count 2575 homes have gone up an average of 12.4% and those people, typically on the left side of our seesaw, want to know why. Who Would Ever Want to Live in a Glass House? The most perfect setting and location to come upon in West Norwalk. 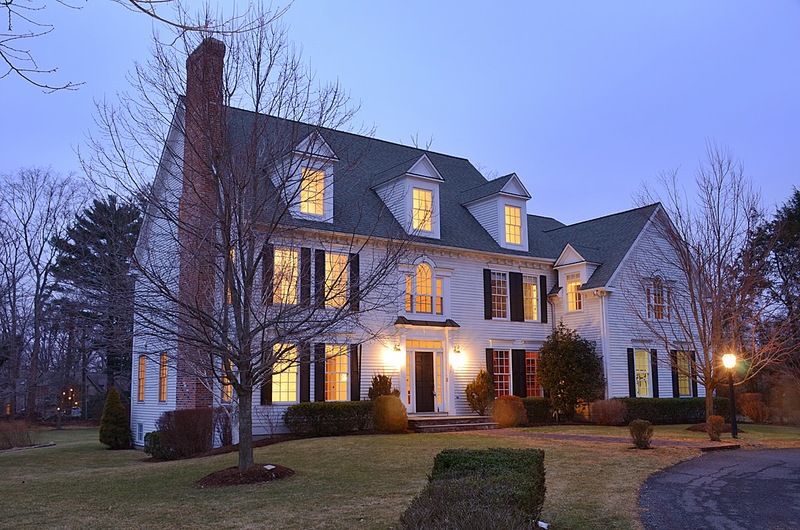 You must see this sprawling center hall Colonial situated on a quiet cul-de-sac on the New Canaan border. This property is conveniently located less than 10 minutes from 3 different train stations making the commute to NYC a dream. Entertain friends while you're cooking in this sumptuous kitchen with granite counters and stainless steel appliances or sit by the fire in the living room after a long day at work. Serenity is the mood of the enclosed porch overlooking the picturebook setting of lawn and grounds. Don't miss the amazing playroom, even a stage for those "actors" in the family or add a movie screen and you can have movie nights. Fin basement with full bath for the guest or au-pair? Wired for generator. Timeless colonial on private cul-de-sac. Outside, enjoy private landscaped meadowlands. Inside epitomizes artful, casual elegance found in the cherry library with built-ins and coffered ceiling, the gourmet kitchen and the breakfast room opening to a raised terrace. Ceilings are 9' & 10' with significant crown moldings. Master Bedroom has fireplace, sitting room and bath with whirlpool and steam shower. Finished lower level has fireplace and full bath; 3rd level has half bath. Versatile floor plan. 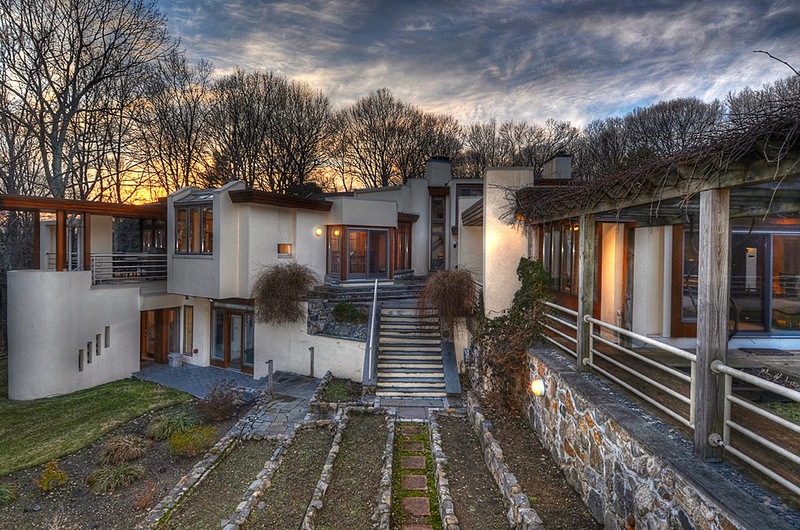 Exceptional, dramatic Frank Lloyd Wright-inspired modern home, set atop a hill and offering spectacular panoramas. The open and expansive living area has 7,500 sq. ft. on 4 stories, offering exceptional indoor/outdoor spaces. The dining room has a wall of windows on three sides with views toward majestic hardwood forest. The living room has a cathedral ceiling with a wall of windows and massive stone fireplace. Exterior doors from almost every room, at every level, provide access to beautiful terraces and private gardens. Listed by John and Susan Engel of Barbara Cleary's Realty Guild for $3,000,000.